Stunning North Oxfordshire family home with 6 ensuite luxury bedrooms. Ideal for family gatherings and sophisticated hen parties! 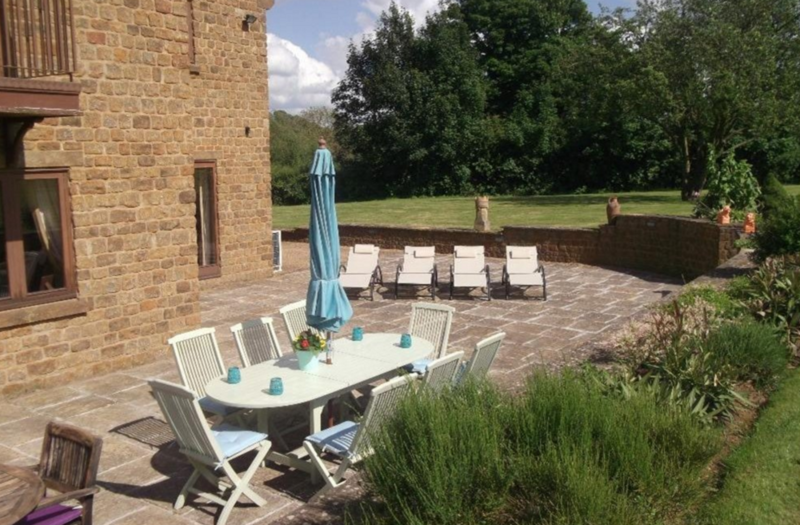 This beautiful, traditionally decorated holiday home offers luxury accommodation on across three floors. Approached via modern electric gates and a gravel driveway, the property opens out as you approach the main reception hall which has a beautiful winding open staircase leading to the first and second floor. Leading out from the main reception area there is a downstairs cloakroom, drawing room including a beautiful open Inglenook fireplace and large windows overlooking all sides of the property. A 55" LCD TV with DVD player and Hi-Fi unit with surround sound finishes off the ground floor feature set. A formal dining room can also be accessed from the main reception hall and looks out to the rear of the property. It can comfortably seat up to 12 people in a circular layout. very large kitchen with AGA, conventional gas cooker and electric ovens, dishwasher, microwave and coffee maker. The Kitchen offers all required cooking impliments for general cooking. The Kitchen area leads to a further relaxing sitting area with 42" SMART TV and seating for up to 8 people. This accommodation in turn leads through to a relaxed further eating area which can accommodate 8/10 people in the conservatory overlooking the garden. You can also access the Dining Room from this area. There is also a traditional, cosy family kitchen and adjacent utility area which offers two large american fridge freezers and washing machine and drying facilities and a pantry. A side door leads out to the separate annexe accommodation, garages and stables. There are five double bedrooms all with en-suite bathrooms on the 1st and 2nd floor. 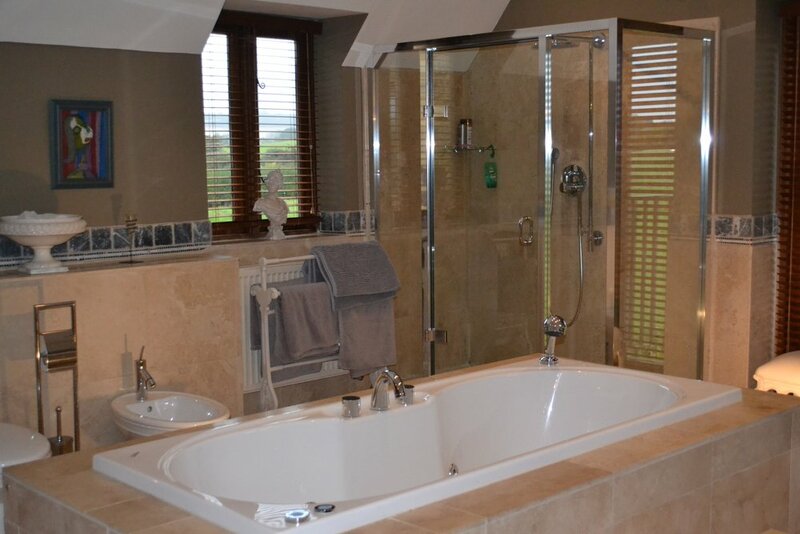 The main suite offers a Jacuzzi bath and double shower. 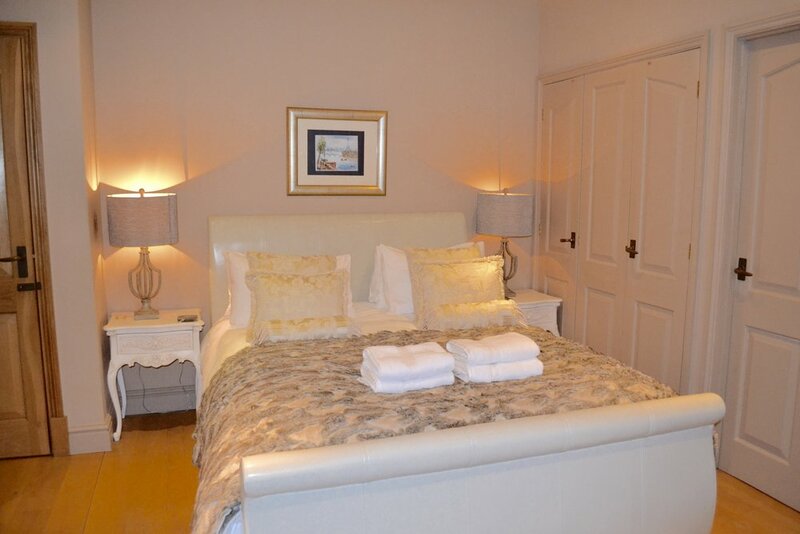 There are TV's in each of the bedrooms and in the two top rooms there are sofa beds available for younger guests. Each of the bathrooms are equipped to the highest standards, with some offering bath and shower facilities and some offering a shower only. Bedroom Four: 32" LCD TV with en-suite with bath and shower. Sofa bed too. Bedroom Five: 40" LCD TV with en-suite shower room. Sofa bed too. Bedroom 6 is in the Annex and is a double ensuite shower room. The outside of the property offers 6 acres of grassed area for you to explore and there is a BBQ area and Hot Tub available for a supplement. 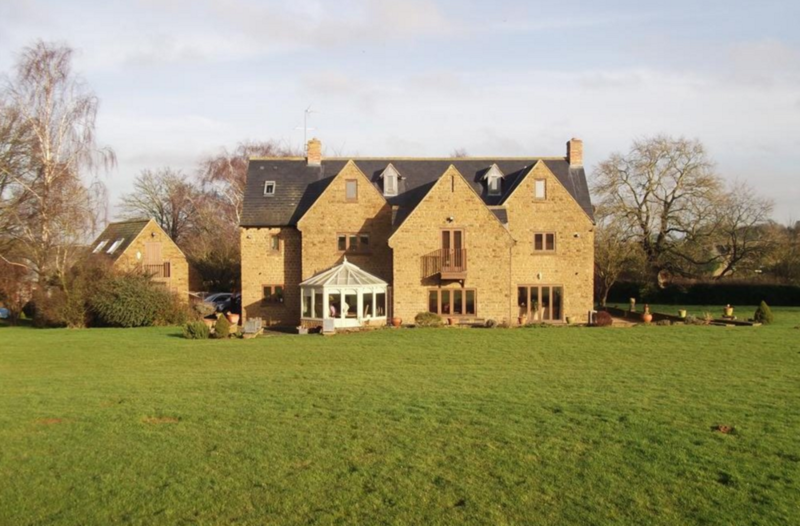 The property is situated approximately 3 miles to the west of Banbury. There are two excellent 18 hole golf courses within 0.25 and 0.5 mile from the property with further courses within a 5 mile radius. There is also horse riding within walking distance of the property. There are a number of local public houses and restaurants offering food within a short drive and Stratford Upon Avon, Warwick, Leamington and Oxford are all within 30 minutes drive. Directions available from Junction 11 of M40. Minimum number of nights for this property is 2. Bank Holiday weekends are 3 night minimum. Hot Tub available at an additional rate of £175.